Whether you live in a small home, apartment, or condo, there's no reason to let a small space cramp your style. With the right furniture for smaller homes, and a few DIY tips, you can make any room fit to your style and needs. Multifunctional pieces, small scale items, and smart storage options allow you to use space effectively, without sacrificing style. 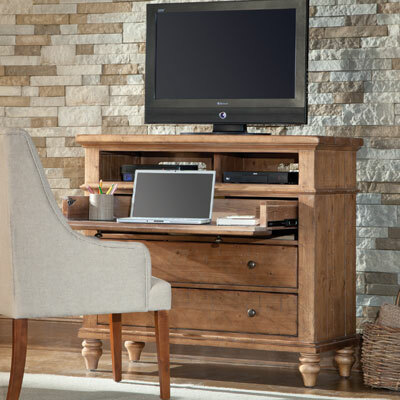 Think up, not out, and play with lighter tones to give even the most cramped space a more open feel. 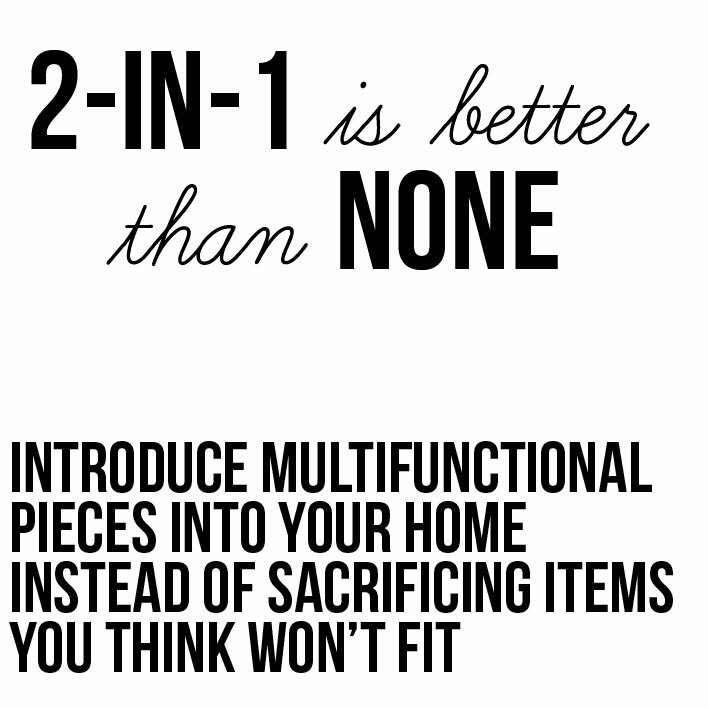 When it comes to furniture, one size does not fit all- keep these cues in mind when updating your small space for optimum function, area, and style. 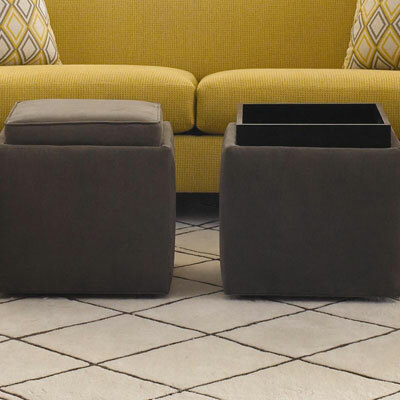 A storage ottoman in a living room increases storage space and can be used as additional seating or a fresh take on a cocktail table. 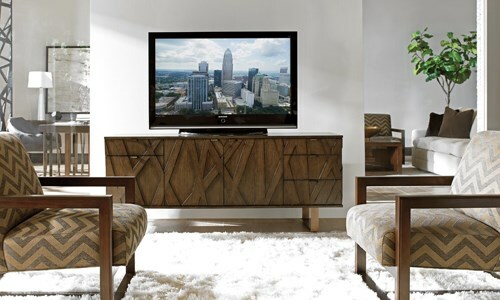 Convertible pieces like a drop-front chest instantly transform from a storage piece to a simple workspace or entertainment piece. Don’t set your space up to fail by adding grand pieces that barely fit. 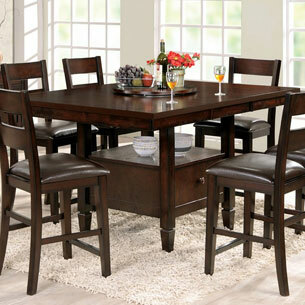 Buy furniture that suits your small space. Down-sizing doesn’t mean you have to sacrifice drama – make simple adjustments by buying a loveseat instead of a sofa, or replace a large sleigh bed with an upholstered headboard and sleek platform base. Now, more and more people are choosing location over size, living downtown in apartments and condos, instead of moving to the suburbs. Furniture designers have responded with small scale sofas that offer ample space, without taking up a lot of room. 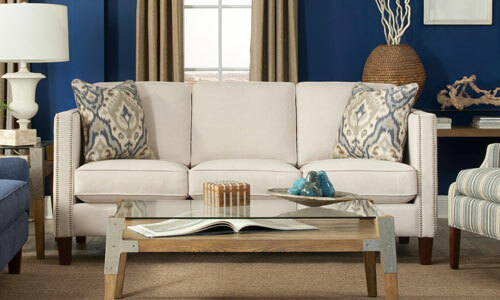 Look for sofas with slim track arms, which may have the same width as other sofas, but offer more seating space than a sofa with large rolled or splayed arms. Clearing clutter is the first step to making any space look more open. More and more furniture today is built with function in mind, with an abundance of drawers or shelves to help you display what you want and hide everything you don't. 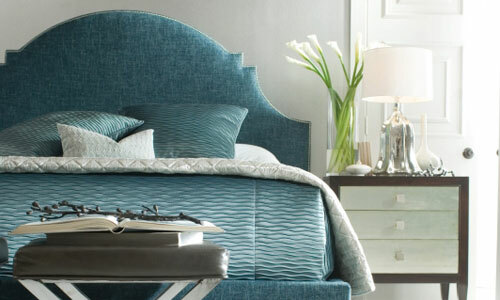 Check out a bed with built-in storage, like a bookcase bed or bed with footboard storage drawers. Remember to build up, not out - tall chests are a great way to save floor space while adding drawers of storage for clothing, accessories, and anything else you throw at it. Look to small-scale tables with leaves so that you have a table that fits, but can be expanded when you absolutely need the extra space. Some tables offer storage space in their base or pedestal, which can be ideal for storing anything from linens or plates to wine bottles. Bookcases ensure ample storage and display space with an abundance of shelves. Bookcases with open shelving and no back – like an etagere– keep the space open and airy, and make a chic room divider for an open layout or studio apartment. Lighter colors help to create a more airy and open look. Worried muted colors will mute your style? Set the stage by painting walls and picking lighter fabrics for larger pieces like a sofa, then punch up the volume with your favorite bright-colored accents. Mirrors also work to create the illusion of more space by reflecting light throughout a room. Make your space look larger and create a chic wall display by hanging varying sizes and styles of mirrors on your wall as you would a group of framed photos.